Do not let Jigsaw-Dat Ransomware infiltrate your computer because you will find a bunch of your files encrypted on your computer. Jigsaw-Dat Ransomware basically does not differ from its predecessor Jigsaw Ransomware, so we suspect that you will find all the most valuable files encrypted on your system, including all your media files, if this threat ever infiltrates your computer. This will not go unnoticed, we can promise you that. The first thing you will notice is a window with a picture of a man opened on your Desktop. Has it already been displayed to you? If it is so, there is no doubt that Jigsaw-Dat Ransomware is the malicious application you have encountered. The ransomware infection not only copies itself to two locations in order not to be removed, but also creates a point of execution in the system registry. As a consequence, it cannot be stopped that easily. We can assure you that you will not disable it by simply restarting your affected computer. It will start working again when you turn on your computer and the Windows OS loads up. Do not keep this threat active on your system – the sooner it is gone, the better. The first thing what Jigsaw-Dat Ransomware does after having been launched is creating two copies of itself in two different locations. Specifically speaking, in %APPDATA% (%APPDATA%\Frfx\firefox.exe) and %LOCALAPPDATA% (%LOCALAPPDATA%\Drpbx\drpbx.exe). Then, the ransomware infection locks data on the affected computer and displays a window with a ransom. You will probably not see those encrypted files due to the window opened on your Desktop, but all these files will be marked with the .dat filename extension. The ransom note will inform you that you must pay at least 300 EUR worth of Bitcoin if you do not want your files deleted. Since Jigsaw Ransomware, the predecessor of Jigsaw-Dat Ransomware, really deletes files from victims’ computers, there is a possibility that it will act the same. What we know 100% is that it will keep your files encrypted. Many users rush to make a payment, but you should not do this. Instead, remove Jigsaw-Dat Ransomware from your PC as soon as possible to prevent all your personal files from being deleted. If you still arrive at a decision to send money to its author, do not be surprised if your files stay encrypted – there are no guarantees that they will be fixed. Additionally, we would be very surprised if the ransomware infection would be erased for you automatically. 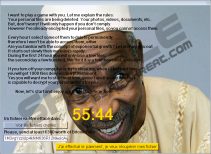 What the entrance of Jigsaw-Dat Ransomware clearly shows is that your computer is not protected enough. Most probably, you do not even have security software installed on your PC. As malware researchers have observed during all those years of malware analysis, users usually discover harmful malicious software on their computers after they open a malicious attachment sent to them, click on the malicious link, or download a software bundle from the web. The most likely scenario in this case is that you have opened a malicious attachment. Do not make the same mistake again in the future. If you are not so sure that you alone could improve your system’s protection against harmful threats, entrust this job to an automated antimalware/antivirus tool. Such a tool will protect your system 24/7 if you update it regularly. This does not allow you to be a careless user. 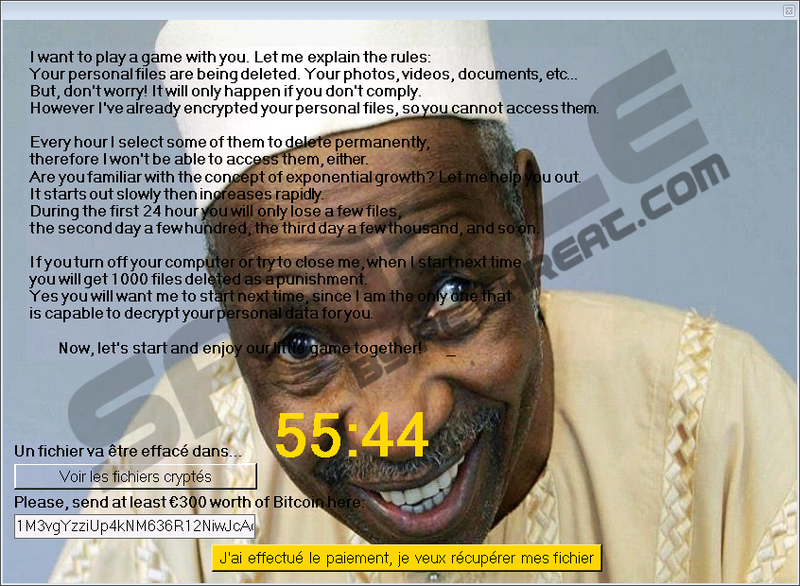 Files encrypted by Jigsaw-Dat Ransomware will stay locked no matter what you do. Of course, you can try to purchase a decryptor from cyber criminals, but do not forget that it might not work, or you might not receive it. Alternatively, files can be recovered from a backup (if it exists). The ransomware infection must be deleted from the system no matter what you decide to do with your files. The chances are high that it will stay active even if you send money to its developer. It is not a problem if it is the first threat you have encountered in your life and thus have no experience with malware removal – we will help you to erase Jigsaw-Dat Ransomware. Find our removal guide below and follow its steps one by one. Kill two processes named firefox.exe and drpbx.exe. Quick & tested solution for Jigsaw-Dat Ransomware removal.